Meet the members of our public involvement forum. 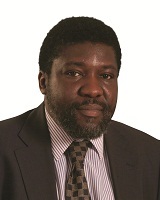 Professor Ade Adebajo is a Consultant Physician in Rheumatology at Barnsley Hospital NHS Foundation Trust and is also an Honorary Senior Lecturer and Associate Director of Teaching at the University of Sheffield Medical School. His main research interest is in the field of Musculoskeletal Health Services Research. He chairs the South Yorkshire Patient and Public Involvement Strategy Group, which is a collaboration between the Research Design Service (RDS), the Comprehensive Local Research Network (CLRN) and the Collaborations for Leadership in Applied Health Research Care (CLAHRC). He is a member of INVOLVE. 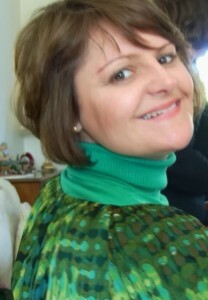 Diagnosed with Head and Neck Cancer in 2002, Christine went on to make a good recovery and build on previous personal experience of chronic illness (lupus), voluntary sector activity and a professional background in further and higher education to become a tutor in communication skills to medical undergraduates, and subsequently into academic research. A University of Leeds graduate, she is currently employed there as a user research lead and honorary research assistant within the Psychosocial Oncology and Clinical Practice Research Group. The study she is working on is a Macmillan Cancer Support funded grant competition winning project examining the benefits of user mentor support for recently diagnosed head and neck cancer patients and carers in the difficult period when discharged home to outpatient status following first in -hospital treatment. She is also user advisor/collaborator to other academic research projects and studies. Current local regional and national user group memberships include the Yorkshire Cancer Network, the National Cancer Research Institute Consumer Liaison Group and Head and Neck Survivorship Subgroup, National Cancer Information Network Head and Neck Information Pathways and Patient Reference ,Peer Review etc. Other PPI involvements are at the Universities of Leeds and Huddersfield, where she also teaches part-time in health professional education. Christine is working to encourage development and change in academic and health research practice: moving forward from research done to users, to research done with and by users. 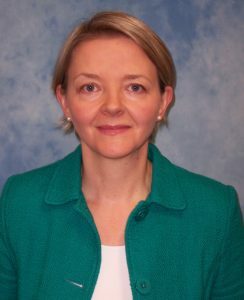 Professor Wendy Baird is the Director of the RDS for Yorkshire and the Humber as well as a Professor of Health Services Research at ScHARR, University of Sheffield. Her research has largely been related to assessment of health care needs in people with a disability with particular emphasis on oral health, multiple sclerosis and older people in rural areas. Most recently her research portfolio has been in the field of multiple sclerosis around the establishment of a population based register of people with MS in the UK. Andrea’s interest in influencing policy and practice and ‘PCPIE’ (Patient, Carer, Public Involvement and Engagement) activities stems from 28 plus years as an incomplete spinal cord injured person following a Road Traffic Accident in 1986. She has had much previous and current experience of using health services. She has experience of working in the voluntary, public and private sectors nationally, regionally and locally and focused latterly in “expert patient” and patient experience/quality focused work. Key roles currently include ‘Expert Patient/Advisor’ with Yorkshire Ambulance Service; Lay Review work for NIHR (Research for Patient Benefit Prog)., member of PURSUN (Pressure Ulcer Research Service User Network) c/o University of Leeds and PhOEBE (Pre Hospital Outcomes for Evidence Based Evaluation) Project PPI Reference Group member c/o ScHARR, University of Sheffield. 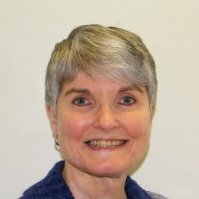 She has an active interest in self management/self care, user led and peer support approaches and is passionate about ‘patient partnership’ and ‘service user/consumer’ involvement as a means of securing safe, efficient improvements in services and practices which are truly patient/service user/consumer centred. “I’m delighted to be a RDS PPI Forum Lay Member in order to proactively influence the health research agenda regionally and nationally and ‘add value’ from a patient/lay perspective”. My name is Beryl Darlison and I represent Sheffield Emergency Care Forum (SECF) at the Public Involvement Forum. Having always been interested in health matters and the NHS, being involved with research and researchers gives an opportunity to learn, have a voice and contribute from the user perspective. It is important to help with the interface between clinical medicine, academic research and the science which underpins both. As a member of SECF we meet to review and comment on research proposals, lay summaries etc. designed by doctors and other health care professionals. We contribute knowledge and experience to individual projects, sitting on steering groups and management committees. Philip Gleeson’s first job was as a Patternmaker at West Yorkshire foundries, gaining a degree in engineering, when they closed he went into warehouse and distribution, eventually becoming a Transport Director at a large distribution company. Due to illness 20+ years ago he now uses a wheelchair. Whilst ill he completed a degree in the arts at Open University to keep his mind as active as possible. Being an Engineer at heart has given him a real interest in research as he has found that this is another way of designing and making more efficient the machine which in research is the human body. Phil is currently the chair for the charity ‘Leeds involving people’ and the co-chair for the ‘Better lives Leeds Board’. Apart from this he also is a Hub representative for Leeds City Council and a Trustee for the Leeds access committee and Disability council. Phil has a broad spectrum of interest in research and has a strong belief in a completely accessible world to ensure that everyone is treated equally regardless of age and ability. 5a.m. March 1990 a single Stoke ruined the whole day. Trained as a nurse and a teacher with a Masters in Health Education from Chelsea I was at the time Head of Department of Health Care Studies at Manchester Metropolitan University. Disability and early retirement forced a new direction, Disabled but Determined I engaged with the Disabled community. A founder member and subsequent Chair of Shopmobility Sheffield founder member and chair of the clinical audit patient panel for Sheffield health trust, founder member and subsequent Chair of HQIP Service User Network my term of office recently coming to an end. Although not currently research active I have been involved at local and national level supporting others undertaking Research. For some time. Samaira is the Public Involvement Lead for the Research Design Service Yorkshire and the Humber. 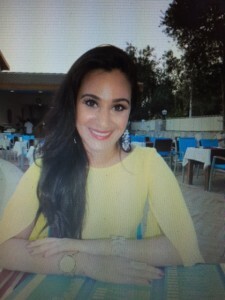 Samaira chairs the Public Involvement Forum and also oversees the Public Involvement Funds and chairs the review panel. She is based in Sheffield and also works for INVOLVE for two days a week as a Public Involvement Manager and is a member of the INVOLVE Advisory board. Having worked for the Research Design Service in Yorkshire and the Humber for over four years Samaira has a pool of experience in Public Involvement. This includes providing advice on embedding meaningful Public Involvement throughout research applications and working collaboratively with members of the public on various different projects both locally and regionally. Samaira has a background in working with children and young people and is particularly interested in inclusive, diverse public involvement. I am Dan Lawrence, and I am a Clinical Research Coordinator at Sheffield Teaching Hospitals. As part of my role, I oversee the Public Involvement Activities within our NHS Trust. When I started my role, I didn’t know much about Public Involvement, but have come to realise how valuable it is to conducting high quality research that benefits patients. As a result I am keen to not only promote Public Involvement in research, but also explore ways to make it more accessible to a broader audience. I am currently involved in supporting a number of advisory groups, including the Online Public Advisory Panel. My name is Robina Mir. I currently work within the medical school at the University of Leeds as a non clinical tutor. I am also a member of the Patient Carer Community (PCC). As well as being a Lay Representative of NIHR in Sheffield, I also work as a Lay Representative for the National School of Healthcare Studies (NSCHS) Health Education England (HEE), Birmingham. I held a 15 year career within the Leeds NHS where I was involved in designing and developing a new maternity care service which developed from research within Leeds during that time. I'm very proud of establishing the Haamla Service which is now part of mainstream maternity services of the Leeds Teaching Hospitals Trust and still going strong today. My other main role within the NHS involved developing services and supporting families affected by Sickle Cell and Thalassaemia Major, both inherited blood disorders. I spent many more years within the Voluntary sector as a Trustee and as a strategic manager for two Healthy Living Centres and various projects where bridging the gap between clinical services and the communities they served was a prime part of my working career. I’m passionate about community involvement and training health professionals to be effective communicators with all the communities they serve. I'm a freelance and trained simulated patient and worked with the London Deanery for some time. Now I work mostly with Leeds and Liverpool universities with their undergraduate and post graduate students who are developing their communication skills or in exam situations. I do lots of other things like bake cakes, voluntary work for a national charity called Hhugs and still enjoying the best chapter of my life being a grandmother too! I’m Delia Muir and I lead public involvement at the Leeds Institute for Clinical Trials Research (LICTR). I support involvement across LICTR and have a more hands on role within our Skin Portfolio. As part of that, I facilitate the Pressure Ulcer Research Service User Network (PURSUN). I also work closely with the Research Design Service (RDS). 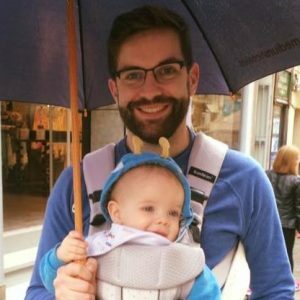 I originally studied acting, and I’m really interested in creative ways to start meaningful conversations about health. In 2015 was awarded a Wellcome Trust Engagement Fellowships. I’m using the fellowship to further explore my interest in arts based public involvement. 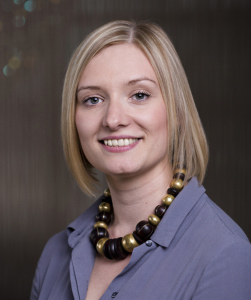 I am Sara Rodgers, a Research Fellow at York Trials Unit at the University of York. As part of my role I lead the Public Involvement activities at the York hub of the Yorkshire and Humber Research Design Service. I have a keen interest in the impact that public involvement can have on research design and implementation. Following my Pharmacology Degree at Leeds University and three years in Cancer Research I joined the medicines industry. My career culminated in managing collaborative programmes to help and support people to become more involved in their own health and wellbeing in the UK, Italy and Finland. I retired in 2007 and started my own company. In 2012 I was appointed Lay Member for Patient and Public involvement at NHS Leeds North Clinical Commissioning Group where I encourage and support authentic patient and public involvement in decision making. My additional involvement activities include research, medicines, equality and diversity, teaching, mental health, learning from incidents, continual quality improvement and national policy development. I am an Improvement Fellow at the Improvement Academy at Bradford Institute for Health Research. My name is Catherine Richardson. I originally trained as teacher and later as a counsellor, with a focus around working with individuals who affected negatively by the problematic or heavy drinking of others they come into close contact with. While available research mainly focuses on helping the problematic drinker, research related to helping and or supporting those who live with or work with the drinker is scarce. I have always worked in learning environments and have been taking opportunities to highlight the plight and concerns of families and others affected by other's drinking. I first got interested in the service user and carer groups work at Huddersfield University where I work when I learned that universities were making use of the knowledge, experience and expertise of service users and carers in order to influence and improve the quality of the education around health and social care. Soon I came to learn about PIF and its commitment to help improve the quality, relevance and impact of health research. I got involved right away and have continued to enjoy doing what we do. My interest is exploring research that could enhance effective training especially in communication skills between primary health care professionals and those affected by other's drinking. Primary health care professionals happen to be the best placed as they can use opportunistic screening and direct individuals affected by the effects of alcohol in one way or another to seek appropriate help.